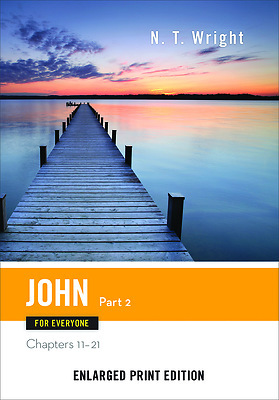 Enlarged print edition now available Making use of his scholar's understanding, yet writing in an approachable and anecdotal style, Tom Wright manages to unravel the great complexity of the extraordinary Gospel of John. He describes it as "one of the great books in the literature of the world; and part of its greatness is the way it reveals its secrets not just to a high-flown leaning but to those who come to it with humility and hope." Wright's stimulating comments are combined with his own fresh and inviting translation of the Bible text.